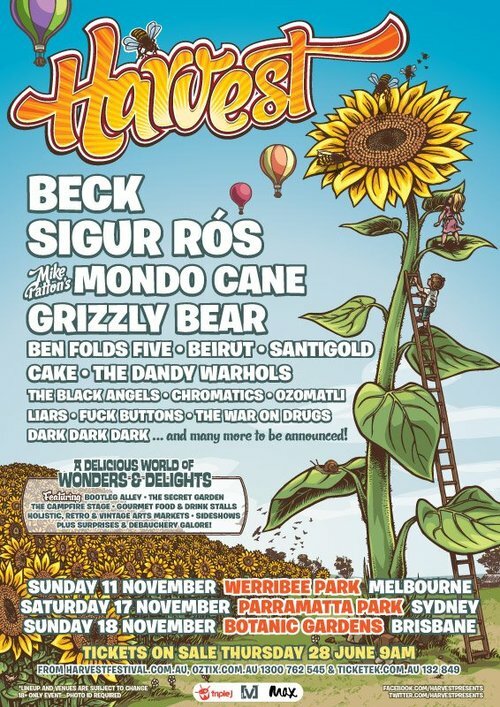 The final Australian festival gig in 2012. Apparently, the rain was crazy and delayed much of the festival times. They adjusted though and from what I understand the bands still went on. Beck made up a song in there about the "Brisbane Rainy Day Blues." The night before, the sitarist from The Black Angels, played sitar on "Loser." I saw report that a sitarist again joined on "Loser" (and "Soldier Jane") tonight, and I assume that it is the same guy.